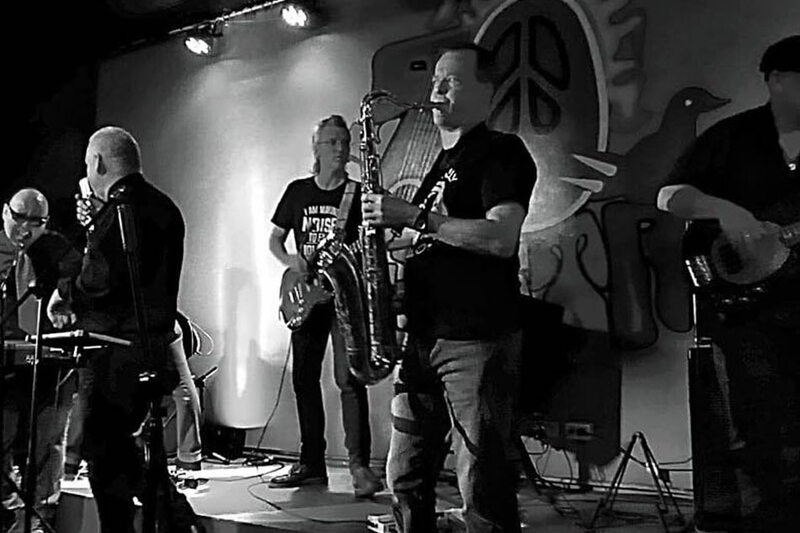 It was close to 2 in the morning when Australian ska band the Funaddicts took the 70s Bistro stage in Quezon City last Monday, November 5, closing out a long night that spanned nine bands and six hours. For the visiting band from Down Under, it was worth it. “When I was here last April and I saw this show that launched Todo Pasa, I told myself that we as the Funaddicts have to be a part of this scene,” said keyboardist Neil Roche-Kelly, one of the three remaining original members of the band -- the others are vocalist Chris McKenzie and guitarist Tom Wilson -- that first came up during the late 1980s. 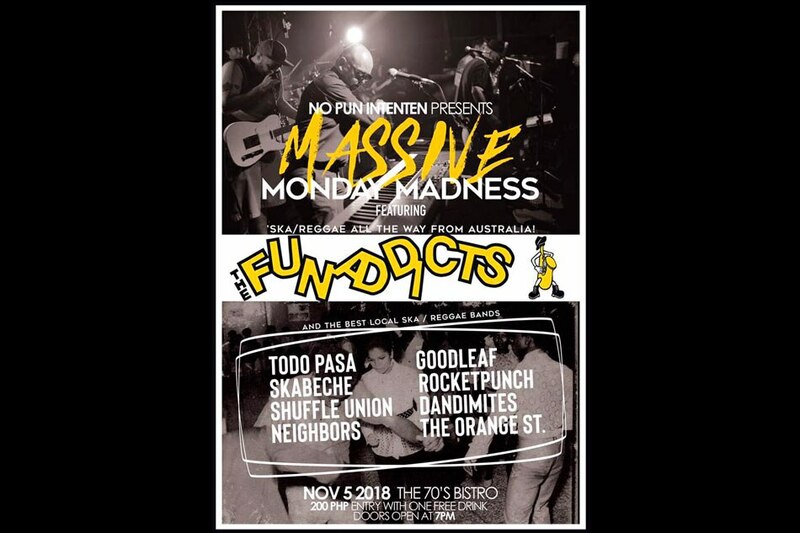 So the Funaddicts were in town for a one-night show -- “for the music and brotherhood,” as McKenzie put it – along with some of the best ska bands in town including Skebeche, Nieghbours, the Dandimites, and Todo Pasa to name a few. “It is good to see that ska is alive and well in Manila,” pointed out Roche-Kelly. During his earlier trip to the Philippines, Roche-Kelly connected with Wang Fernando, vocalist for local ska outfit, Rocketpunch, and himself an independent show producer. And making the show slowly became a reality. The Australians pronounced themselves impressed with dub band, Goodleaf, and the rest of the Filipino ska band lineup. Ska supergroup Todo Pasa, of course, brought the house down with their infectious energy. The Funaddicts first came up in the late 1980s and released a seven-inch single with the song, “Mandela,” which is different from the song, “Free Nelson Mandela,” that was written and performed by British ska band the Specials in 1984. Like the Two-Tone scene in Britain that began in 1979 but petered out by the mid-1980s, the one in Australia also eventually faded. That is until legendary British band, Bad Manners toured Down Under several years ago with Roche-Kelly being invited by no less than Buster Bloodvessel to play with the band. “We all had this reunion at the Bad Manners show and that how we all got back together,” described Roche-Kelly of the fortuitous reuniting of the Funaddicts. Since they reunited after that show, the Funaddicts wasted no times in releasing two albums. The Turn Out features “Mandela” and other tracks and demos recorded during their formative years. What’s the Rush, released in 2017, featured entirely new songs. 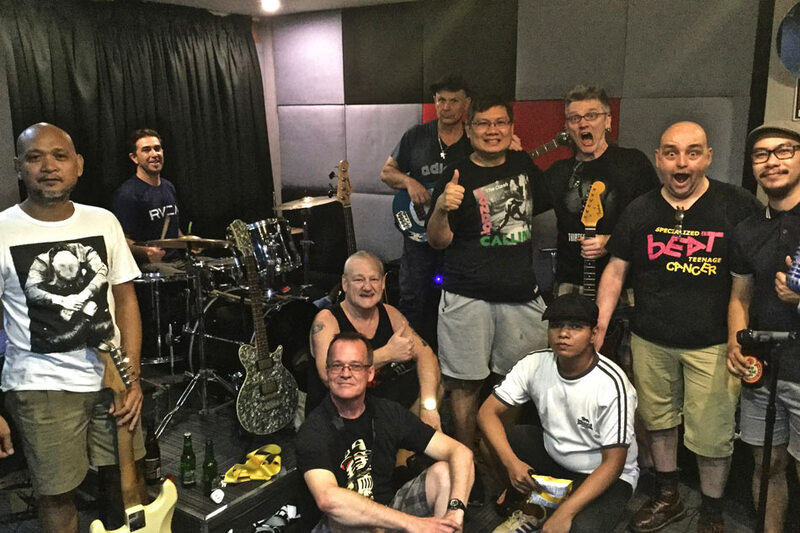 Now, the band is in Manila, as its tour opener before they hit England for at least six shows where they will perform with the Specials’ Roddy Radiation as they guest guitarist (Wilson couldn’t make it to the tour) in some huge and popular ska and reggae festivals. Radiation (born Roderick James Byers) wrote the Specials’ classics “Concrete Jungle,” “Rat Race,” and “Hey, Little Rich Girl” to name a few helping out main tunesmith Jerry Dammers.